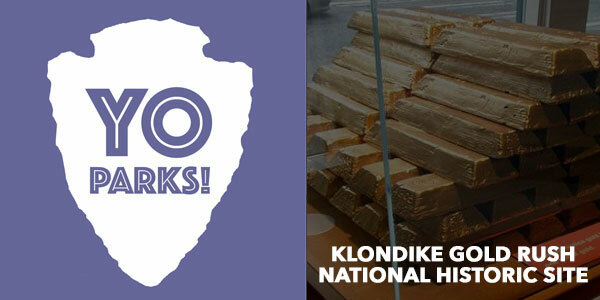 Learn All About Klondike Gold Rush – Seattle Unit National Historic Site :: YoParks! Each post in this YoParks! series will feature an interview with a National Park ranger or historian. My hope is to spread the word about our amazing National Park system and encourage you to visit a park near you! Today’s YoParks! post features Klondike Gold Rush National Historic Site. What is your name and how long have you been at the park? My name is Tarin Erickson, and I am the Museum Technician here at Klondike Gold Rush National Historical Park in Seattle. I work on exhibits and help preserve and care for the park’s museum collection. I’ve been in the museum field for 10 years, but this my first job at a national park! When did your site become a National Park and what role does it play in American History? 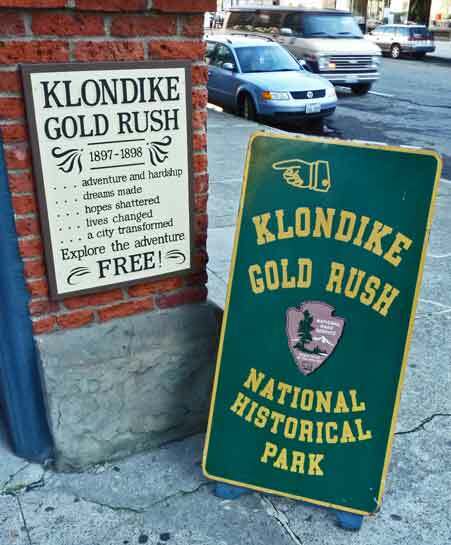 Klondike Gold Rush National Historical Park was established in 1976, and opened its visitor center in Seattle’s Pioneer Square Historic District in 1979 (the park has since moved buildings, but is still located within Pioneer Square). Our site interprets a shared history associated with the Klondike Gold Rush. The discovery of gold in the Yukon brought a large number of people to Seattle in search of supplies and transportation to take them north to Alaska and the goldfields. Today, our park still welcomes many tourists and cruise ship visitors on their way north to Skagway and beyond. What is your favorite fun fact about your park? As someone who enjoys history, I love that our park unit is located in an 1889 historic building—one of the first to be rebuilt after the Great Seattle Fire. Our building, also known as the Cadillac Hotel, served as a hotel for many years; it is likely that many stampeders heading north to the Yukon would have stayed here while getting their affairs in order. The building was damaged almost irreparably in the 2001 Nisqually earthquake. Thanks to local preservationists and Historic Seattle, the building was saved and retrofitted to be our new visitor center. The space opened to the public in 2006. When planning a trip to visit your park how much time should someone allow? Are there any special events coming up at your park? I think an hour is the perfect amount of time here. That gives you time to watch one of our park films as well as explore both floors of exhibits. 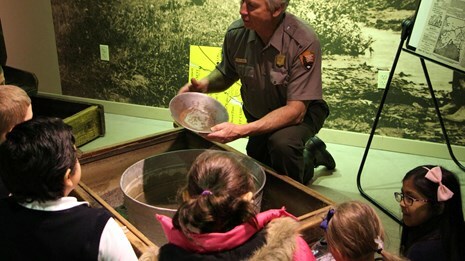 If you have more time, we have junior ranger programs, a walking tour of historic Pioneer Square, and gold panning demonstrations offered during the summer. What is a little known fact or tip about your park that someone cannot find online? Our basement level is surrounded by areaways, or underground passageways, on the two street sides. The underground area was the original ground-level for the neighborhood. The city was regraded after the Great Seattle Fire. Streets were elevated and widened, sidewalks were covered up, and all of the spaces below became dark basements and unused passageways. 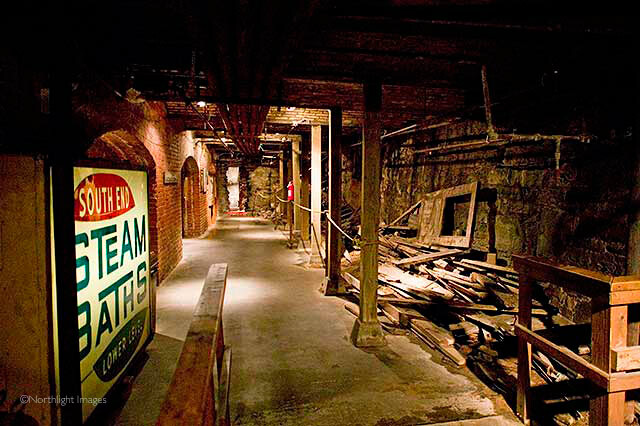 Today many of these spaces are set aside for tourists to view the famous “underground Seattle,” but our areaways are not accessible to the public. What is the most common question you get asked? As a free urban park in downtown Seattle, our most popular question is definitely if we have a restroom visitors can use (we do). 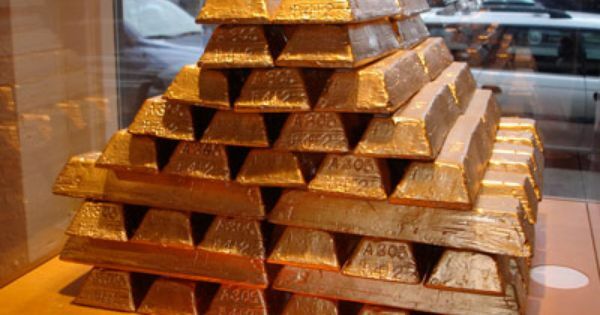 Second to that: “Is that gold real?” We have a stack of 80 replica gold bars near our front entry that represents one ton of gold, and visitors are always curious if this is real. If it was…it would be worth nearly $40 million. What is the most rewarding part about working for the National Park Service? The best part about my job is getting to share history through artifacts, archives and exhibits on a daily basis. Of course I love our big natural parks like Mount Rainier, Olympic, Yellowstone, etc., but I think it speaks volumes that the NPS is equally as dedicated to preserving our cultural resources and the history that is associated with these places. When you look at the number of resources and programs within the National Park System, it’s pretty amazing. I feel lucky that I get to be a part of that. Now for the travel planning nitty gritty: Do you have restrooms at the visitor’s center? Are there food options? Is there a fee to enter your park? Is there a gift shop? We are a fee-free park! 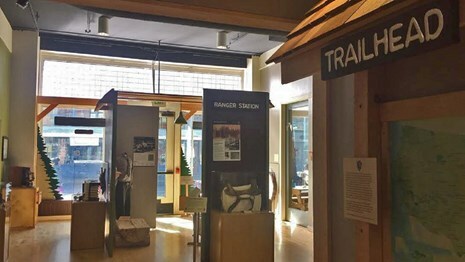 We have restrooms on both floors of the visitor center, and a gift shop, Seattle’s National Park Store, on-site. There are at least six coffee shops within a one-block radius and lots of food options nearby as well. 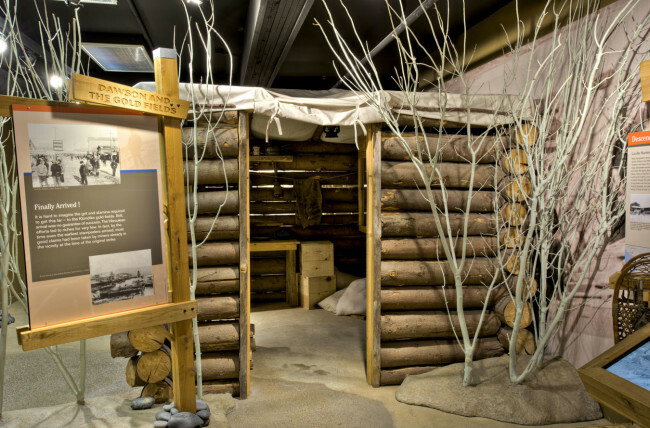 Have you visited the Klondike Gold Rush National Historic Site? Tell me about your experiences in the comments! Have a question about this park? Fire away in the comments and I will try to get it answered for you! Learn About Wright Brothers National Memorial :: YoParks! 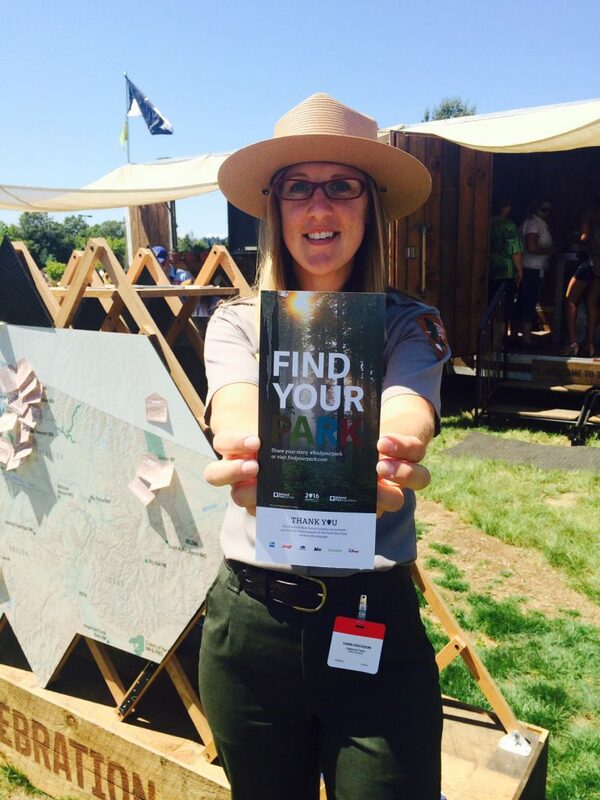 Learn All About Guilford Courthouse National Military Park :: YoParks! 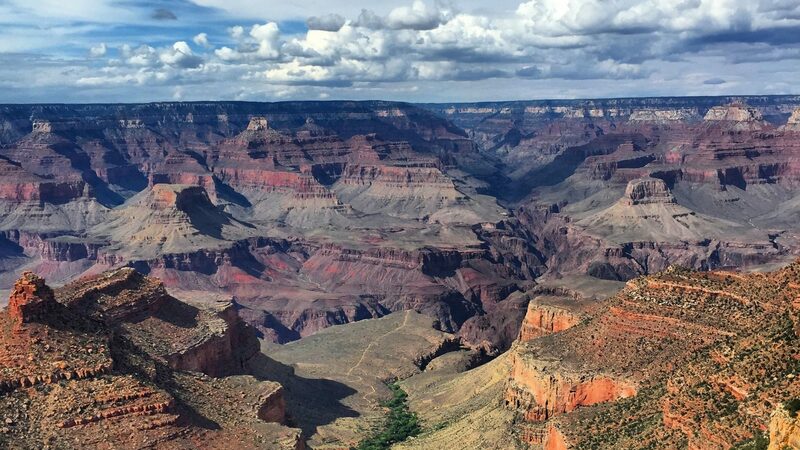 ⟵5 FREE Resources to Help Plan Your Next National Park Adventure!